First line: "I first noticed I was missing on a Thursday." First line: "Sugar Wallace did not believe in love at first sight, but her bees did, and her bees could not even tell red from green." First line: "I've buried nearly everyone I love." First line: "I was fifteen when I first met Sherlock Holmes, fifteen years old with my nose in a book as I walked the Sussex Downs, and nearly stepped on him." "Life inside the prison walls was no different from existence beyond. Everyone carried fear, like a chain, carrying it in the streets, under the familiar shadow of the sad, glorious mountains. And in carrying it, they no longer spoke of it. The fear became intangible, unspeakable. And it ruled over them, invisible and omnipotent." Sahar Delijani's novel is set in Tehran during two time periods: a few years after the revolution that overthrew the Shah, and thirty years later. 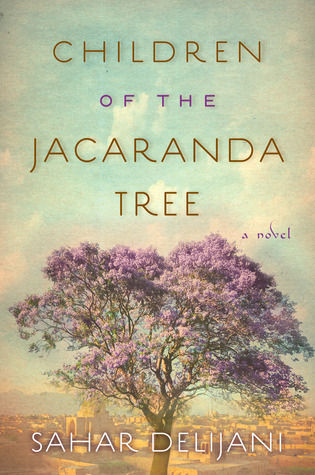 Like a beautiful tapestry, it weaves together the stories of several different characters. Azar is a political activist who ends up in Evin Prison where she gives birth to a baby girl; but she only gets to nurse her daughter, Neda, for a few months before Neda is taken away from her. Omid is just three-years-old when his parents are arrested and imprisoned; they, too, are political activists. Omid and his sister, Sara, are raised for years by their grandmother and their aunt. Then there's Sheida and Forugh and Dante and Donya, all children of political prisoners, whose lives are shaped by the sorrow and fear of their parents' pasts. This is the story of two different generations, both yearning and fighting for the same basic freedoms, freedoms denied to them by Iran's ruthless and tyrannical Islamic Regime. It is the story of secrets, hope, resistance, endurance, and defeat. Delijani, who was also born in Tehran's Evin Prison, has written a thoughtful and moving and important novel. One that reveals the truth about Iran's recent and not-so-enlightened past. It's unflinching and honest without being sad and depressing. And the way Delijani writes is simply amazing. If you've ever been interested in Iran's history and it's people, this is a must-read book. On Veronica Mars. Veronica is such a great character--smart, sarcastic and unstoppable--almost like a modern-day Nancy Drew. I admit, I really loved the television series and I cheered when the movie came out. But did you know there are books, too? Veronica Mars: The Thousand Dollar Tan Line by Rob Thomas is the first one. Talk about a great mystery! It's witty, fast-paced and fun ... and it has all of my favorite characters from the TV series in it, too. Call me a bookish fan! I am waiting impatiently to get my hands on the next one: Veronica Mars: Mr. Kiss and Tell. I hear it's even better than the first. On language. I don't mind a little swearing in the books I read, but I recently read a couple of YA novels with a disturbing (and completely unnecessary!) amount. There was so much language, in fact, that if they were made into movies they would both be R-rated. What's up with that? Are writers of teen novels so devoid of imagination and lacking in vocabulary these days that a string of four-letter words is the best they can do? Because that's just sad. 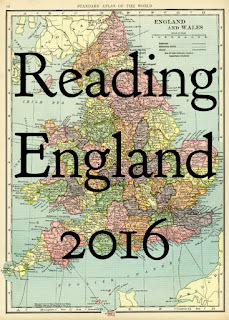 My Thoughts: A novel with both Henry James and Jack the Ripper in it...who can resist that? And Henry is not alone. Oscar Wilde and John Singer Sargent both make appearances, as do Henry's siblings, William and Alice. These three amateur detectives work together to try and solve the Whitechapel murders. This novel is an intelligent and well-written mystery. And I like Cohen's witty characterizations of Henry, William and Alice James; she's able to portray their foibles and very real human weaknesses without making them ridiculous. They bicker and nitpick, as all brothers and sisters do, but they're also smart and insightful and very likeable. And the way they go about discovering Jack the Ripper's real identity is unique to say the least. 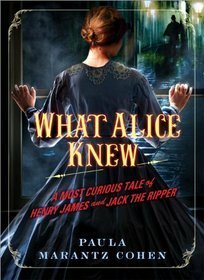 I really enjoyed this novel, from its Victorian setting, to its literary characters, to Cohen's unusual solution to the mystery surrounding Jack the Ripper. Don't you love it when a book exceeds your expectations? This book definitely exceeded mine. dangerous seas of human life." We called him the Professor. And he called my son Root, because, he said, the flat top of his head reminded him of the square root sign. 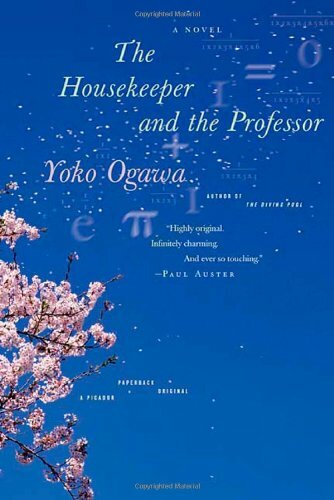 So begins The Housekeeper and the Professor by Yoko Ogawa, by far my favorite read of 2015. The Professor was an expert in number theory until a car accident in 1975 causes irreversible brain damage and robs him of his memory. He can remember everything before 1975; but anything after 1975 only sticks in his head for 80 minutes. Then it's gone. Forever. "How exactly does a man live with only eighty minutes of memory?" 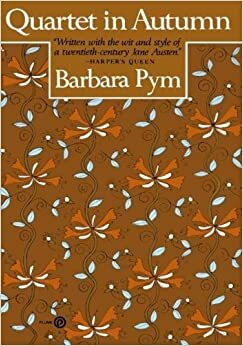 That's the question this charming novel explores through the eyes of the Professor's new housekeeper and her ten-year-old son. For the Professor, numbers are the one constant in his life. And it's through numbers, and the way they relate to each other, that he connects with other people. 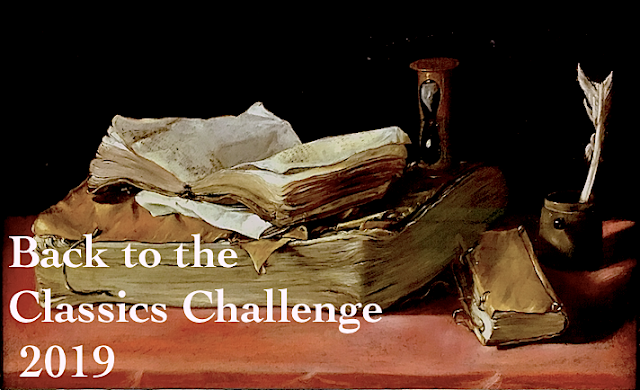 He looks for prime numbers and square roots in the housekeeper's phone number and age; and he is delighted when he finds a pair of 'amicable numbers' in her birth date (220) and the number of his first math prize (284). He also unconditionally loves her son, spending many happy hours explaining the elegance of numbers to him, from simple baseball stats to esoteric proofs. But every morning, they have to begin from scratch with him because for the Professor, yesterday no longer exists. Edith Wharton was a keen observer of society and a chronicleer of her times. There's an elegance and a clarity to her writing that makes her one of my favorite authors. 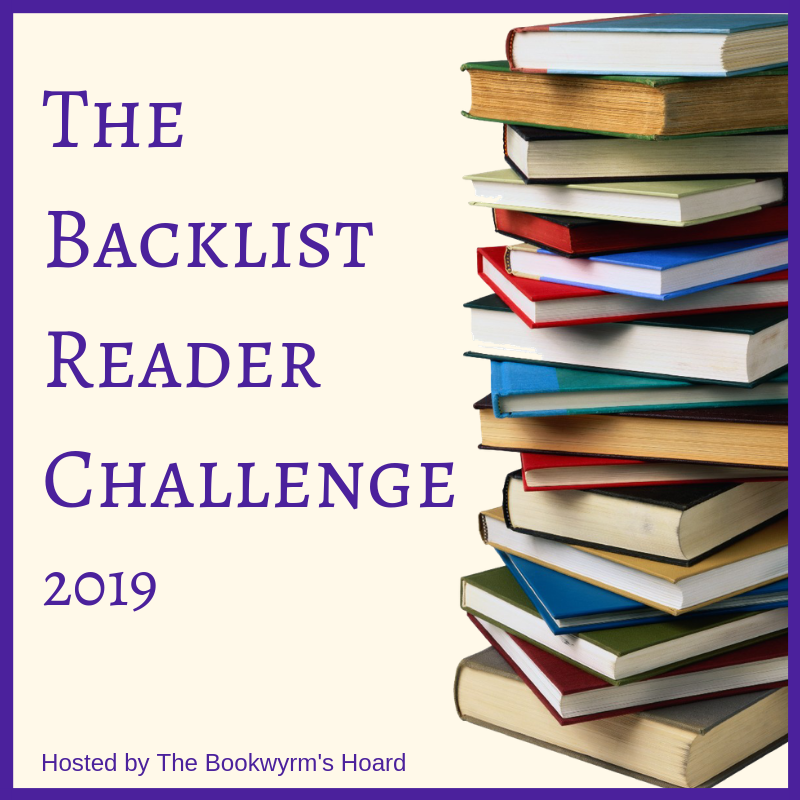 Her novels (and novellas!) are thoughtful, biting, artistic, witty, and often beautifully sad. 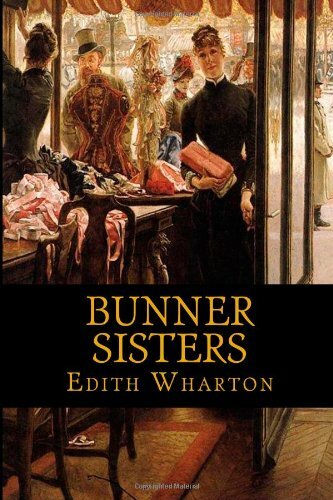 Although not published until 1916, Bunner Sisters was written in 1892, making it one of Wharton's earlier works. It's the story of Ann Eliza and Evelina Bunner, two sisters who own a small shop in a shabbier part of New York. "The Bunner sisters were proud of the neatness of their shop and content with its humble prosperity. It was not what they had once imagined it would be, but though it presented but a shrunken image of their earlier ambitions it enabled them to pay their rent and keep themselves alive and out of debt; and it was long since their hopes and soared higher." Then they meet Mr. Herman Ramy, a German clockmaker, who awakens new hopes and dreams in both sisters. And for awhile their days are livelier and full of bright possibilities. But Ann Eliza soon realizes she must sacrifice her own happiness for that of her younger sister's. "That night, after the light went out, the elder sister knelt longer than usual at her prayers. 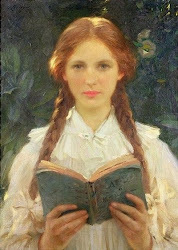 In the silence of the darkened room she was offering up certain dreams and aspirations whose brief blossoming had lent a transient freshness to her days. ... Grief held up its torch to the frail fabric of Ann Eliza's illusions, and with a firm heart she watched them shrivel into ashes..."
She hopes her own renunciation will be repaid in her sister's future joy. But life isn't that equitable, not for Ann Eliza and Evelina. These two sisters are not the wealthy elite of old New York that Wharton usually writes about. (And you definitely don't want to be single and poor in Wharton's world.) In the end, there are no gilded dreams for either Bunner sister. I actually found this novella fairly depressing. My heart went out to Ann Eliza, but I found it harder to sympathize with self-absorbed Evelina. And while there were moments in this story that I loved, the ending left me feeling dissatisfied and wanting a little more. Which is why I found myself reaching for another of Wharton's novellas. Set in Paris, Madame de Treymes tells the story of American Fanny Frisbee, who is unhappily married to the Marquis de Malrive, and her childhood friend, John Durham, who has come to France to ask Fanny to marry him. "She lifted a cleared gaze to his. 'My direct answer then is: if I were still Fanny Frisbee I would marry you.'" But the question of Fanny divorcing her husband is complicated by his family, his religion, and their son--an eight-year-old boy who neither side will give up. John turns to Madame de Treymes, Fanny's sister-in-law, for advice and help. But she wants something from him in return. She wanted money, a great deal of money: that was clear, but it was not the point. She was ready to sell her influence, and he fancied she could be counted on to fulfil her side of the bargain ... but he knew that ... she wanted the money for someone else..."
And John's innate sense of honor revolts at the idea. He'd rather sacrifice his own happiness than do anything that would hurt Fanny. This 72-page novella is really a clash of cultures: a rigid, very traditional, old French family vs. the unpolished but monied and moralistic Americans. More importantly, it's also a battle of happiness vs. honor, which is classic Edith Wharton. And maybe why I liked Madame de Treymes a little more than Bunner Sisters. But both novellas are beautifully written and well worth your time. Art restorer. Israeli spy. Assassin. Gabriel Allon has a unique gift for languages, a remarkable talent with a paintbrush, and an unmatched ability to raise a gun and fire in the blink of an eye. Others in the intelligence community call him 'legendary'. The son of a holocaust survivor with the soul of an artist ... a soul haunted by the memory of those he's killed ... Gabriel is complicated, honorable, and relentless. If it sounds like I'm gushing, I am. Gabriel Allon is one of my most favorite characters ever written. In fact, I have a bit of a bookish crush on him. And not just because of his green eyes. "Gabriel had been cursed with an exaggerated sense of right and wrong. His greatest professional triumphs as an intelligence officer had not come by way of the gun but through his unyielding will to expose past wrongs and make them right. He was a restorer in the truest sense of the word." 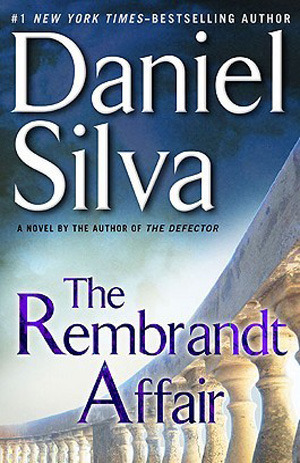 Daniel Silva has written 14 Gabriel Allon novels. While it's best to read them in order, know that the first one in the series, The Kill Artist, isn't quite as good as the three novels that follow it. My personal favorites are The Confessor, Death in Vienna, The Secret Servant, and The Rembrandt Affair. Such amazing reads about an amazing character! in quite the same way." Who do you have a bookish crush on? held infinite possibilities for change." P.S. Thank you, Liz, for passing this novel on to me...I really enjoyed reading it!